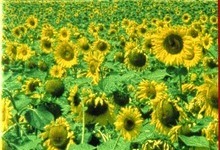 The film presents a field of sunflowers. The focus is adjusted frame by frame in succession according to a series of patterns on particular plants situated in different parts of the field. The diverse configurations placed on separate frames of the film strip appear, when projected successively, simultaneously on the screen. 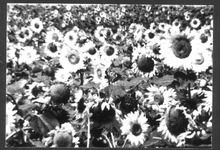 Thus, filmed one after another at different focal lengths, the sunflowers combine during projection to form one spatiotemporal image. 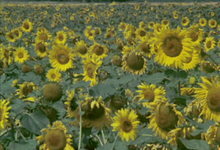 LES TOURNESOLS COLORES is a capricious version of the film.